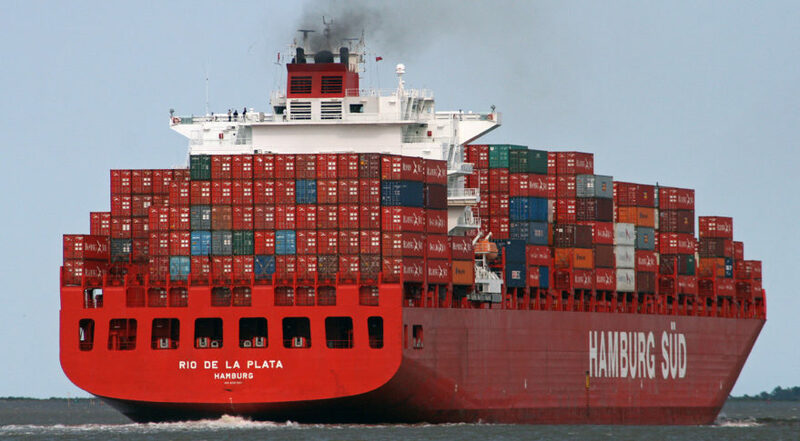 They transport 90 percent of the world’s trade: everything from oil to smartphones, toaster ovens to automobiles. Yet there are only about four million of them, out of the world’s seven billion. Chances are, you have never even met one. They are mariners: the men (mostly) and women who crew the vessels that move commodities and products from one port to another on every continent of the world. Theirs is a unique calling with severe challenges. Their reward is a paycheck and a chance to see the world as few of us see it. It can be a very lonely life. Mariners spend long periods at sea – from a few months to a year. Their time in port is short because time in port costs money. They leave behind family and friends to sail with a rotating cast of strangers. It is also a life filled with danger. In port, they rig cargo for loading and unloading, with cranes and cables flying back and forth. A wrong move could always be their last. At sea, they chip and paint, service machinery, mend lines, rebuild pumps and weld broken metal back together. With long hours and bad weather, fatigue sets in and the risks of accident and injury can climb. The rigors of life at sea present the shipping industry with a challenge. Economic growth is making opportunities ashore ever more attractive, and recent studies predict the industry will face a hiring shortfall of more than 360,000 mariners by 2050. The challenges of the mariner’s life are rapidly becoming a problem for ship owners – and the solution for both is right overhead. When a ship is in port, mobile networks often meet the needs of both officers and crew. But once out of sight of land, mobile signals fade and the only way to connect is by satellite. Since 1979, when an international treaty created a company called Inmarsat, ships have used satellite phones for voice calls. Those calls were expensive back then and are expensive still, and so tend to be used only for critical ship business. Maritime satellite, however, has leaped forward since then. An entrepreneur named Richard Hadsall patented a small satellite antenna with a motion-stabilized base, which means that it can remain pointing at a fixed place in the sky while the ship rocks and rolls beneath it. This technology created the first opportunity to bring what we now call broadband to ships at sea, for which Mr. Hadsall was named to the Satellite Hall of Fame. Innovation over the years has made antennas smaller and cheaper, while improvements in satellite technology have chipped away at the costs of connecting to a vessel at sea. Inmarsat, now a private company, and other companies have launched multiple generations of new satellites to make voice and data faster and cheaper. This combination powering a transformation of life on the high seas. ITC Global is one of these providers. Its latest offering, ITC Crew LIVE, seeks to remove a big point of contention between ship owners and crewmembers. If there is one truth about broadband we can always rely on, it is that the more we have, the more we want. Vessels at sea are no exception. Once restricted to those expensive voice calls, maritime communication now includes emails, the transfer of files for weather and chart data, and a growing range of “digital ship” applications from engine monitoring and video surveillance to telemedicine. Add in broadband for the crew – from email and social media to YouTube and Netflix – and ships start consuming more bandwidth than a roomful of teenagers at a slumber party. The cost of doing all that over satellite can produce real sticker shock for ship owners, which leads many owners limit access to communications – even when the lack of it can make running a fleet more difficult or dangerous. ITC Crew LIVE solves the problem by separating network services for the ship from services for personal use by the crew. Crew members receive individual pay-as-you-go accounts, with ship owners frequently offering a base amount of bandwidth free. Whatever the terms, it lets ship owners predict their costs and crew members decide how much online access they need. The service also makes available a library of popular movies and TV shows. The more predictable needs of the ship are met by the vessel’s corporate network. In the event of issues on that network, the crew network can be used as a corporate back up. Asa s subsidiary of Panasonic, ITC Global leverages the Panasonic broadband mobility network to deliver service and provides the shipboard hardware, software and management services. It sounds simple – but the impact can be profound. “We’re seeing more than 30,000 registered crew members on the network, using an average of 1 gigabyte of data per month,” says ITC Global CEO Ian Dawkins. That is more than 1.8 terabytes per month combined – yet ship owners don’t have a problem, because their costs are controlled and they know their spending goes to greater safety, efficiency and productivity for the vessel. That has opened up a world of applications that benefit both ship owners and crew. A company called FutureCare provides remote medical care for more than 25,000 crew members aboard ships around the world. When illness or injury strikes a member of the crew, FutureCare physicians use video conferencing to make a diagnosis, create a treatment plan and follow up. Managing health aboard ship reduces the chances of an emergency stop at the nearest port, which can throw off the ship’s itinerary and cost potentially millions of dollars. (Even an emergency evacuation by helicopter can cost $25,000.) The peace of mind it provides officers and crew aboard ship can be priceless. Just as valuable is the emotional well-being that comes from being able to stay connected with friends or take part in a child’s birthday over FaceTime or Skype. When ships used satellite only for emergencies, mariners had to put their home lives on hold while at sea. No more. The web is also rich in educational services, and mariners seeking to advance their careers can gain access to training without having to put in extra time ashore without pay. The future may hold even more opportunity. A company called SmartCap now offers a brain monitoring system embedded in a baseball cap. It is already being used by mining companies to monitor the fatigue levels of equipment operators. Companies like Intel and Honeywell are developing a wide range of wearable technology for industrial workers, which can monitor their location or heart rates, and be used to open locked doors or make purchases. As these technologies prove their value on land, they will move out to sea in a hurry, offering new levels of safety, security and ease-of-use. Through heat and cold, long days and raging storms, the world’s mariners still go down to the sea in ships, as they have done for hundreds of years. They make sure the shelves in your store are stocked, the service station can fill your car with gas, and factories have the materials they need. With a little help from satellites far overhead, that job has become safer, a little easier and a lot more rewarding.